As one of the specialized branches within the diverse field of professional psychology, sports psychology places a strong emphasis on applying psychological principles to helping athletes improve their mindset so that they can excel in playing sports. If you have an interest in applying your expertise in psychology to helping athletes overcome stress, anxiety, depression, or any other mental health concerns to be able to play at their full potential, becoming a sports psychologist may be the perfect option. Sports psychologists are vital for providing therapy services to several kinds of athletes, from amateurs and student athletes to professionals and Olympians. In order to help you on your journey toward building a successful career in the professional sports psychology field, we have created the following ultimate in-depth online guide on how to become a sports psychologist in today’s challenging job market. We have packed this guide full of important articles, degree programs, professional associations, news stories, journals, blogs, social media sites, publications, conferences, and other beneficial resources in sports psychology. Therefore, you are strongly encouraged to stroll through this online guide to jump-start a rewarding career helping athletes develop the confidence to harness their body and mind to break the gold medal frontiers of athletic performance. Chapter 1: What is a Sports Psychologist? While coaches usually focus on the physical side of sports, sports psychologists are concerned with athletes’ minds to help them overcome problems, enhance their athletic performance, and achieve their purpose both on and off the field. Before deciding whether sports psychology is the right career path for you, the following are useful links to provide a full job overview for sports psychologists to ensure the role matches your personality, skills, career interests, knowledge areas, and professional goals in psychology. 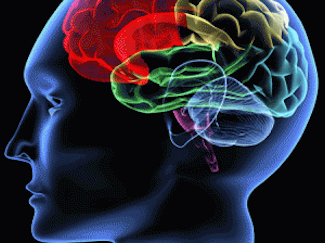 In order to learn about the fundamentals of psychology and its specific applications to sports, a master’s degree in sports psychology is a great place to start. 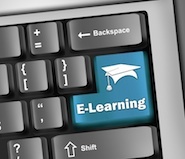 Whether you are a recent college graduate or a non-traditional learner going back to school to advance your education, many universities now offer online master’s in psychology degrees to study within a flexible format. Read on to learn more about some of the top online master’s in sports psychology degree programs to accommodate your unique learning needs. Although a master’s degree in sports psychology can be an excellent way to learn about the basic psychological techniques that are needed to improve athletic performance, it is typically required that sports psychologists also earn a doctoral degree to receive licensure. Below, you will find the Ph.D. and Psy.D. programs in sports psychology that stand out as the best of the best for preparing graduates to provide direct clinical and counseling services to athletes. Purdue University Sport and Exercise Psychology Ph.D.
Once you have fulfilled the educational requirements and completed a one-year internship through a program approved by the American Psychological Association (APA), you will need to receive licensure from your state’s psychology board by passing the Examination for Professional Practice in Psychology (EPPP). 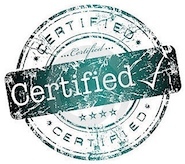 Furthermore, the following resources show other highly respected certifications that can provide you with enhanced credentials for helping athletes improve their focus, confidence, motivation, productivity, teamwork, and overall performance. As the science of athletic performance that is focused on understanding the mind to maximize human potential, sports psychology takes on a wide range of forms that can create abundant career opportunities. While popular perceptions often depict that sports psychologists are only found in professional athletic organizations, sports psychology can be applied in numerous different avenues dealing with sports and exercise. 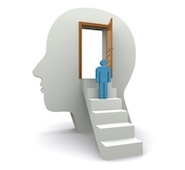 From the viewpoint of some of the most accomplished sports psychologists currently in the field, the below links demonstrate the top careers available in the growing field of sports psychology. 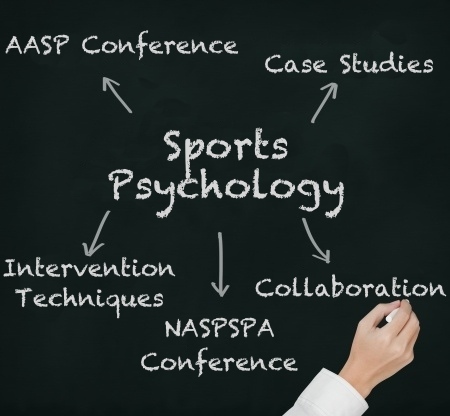 For psychologists, researchers, educators, coaches, administrators, athletes, and graduate students interested in sports psychology, joining one of the several professional associations for sports psychologists can be a great way to advance your professional career. When you make the decision to join of the following professional sports psychology organizations, you will benefit from creating a long-lasting business network of professional connections, participating in professional development workshops, attending seminars to learn the latest health practices, and discovering up-to-date directories of job openings to help land your dream job. Around the world, there are many corporations that are dedicated to improving the emotional and mental health of athletes by equipping them with the cutting-edge sports psychology resources and skills needed to thrive. In order to help you learn more about the services that are available for individual athletes, teams, coaches, managers, and performers at all levels, we have included a list of some of the most well-known sports psychology companies that are helping unlock the power of the mind. As with any other field, it is highly important that both students and practitioners take advantage of the various in-print and online news publications that provide articles relevant to sports psychology to stay relevant on all contemporary practices. 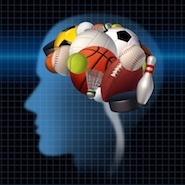 Therefore, the following links will take you to some of the latest headlines concerning sports psychology that are swirling around the Web from the top news media sources covering the ever-evolving sports psychology field. Since recent studies have found that 63.2 percent of all Internet users today visit a social networking site at least once a month, it is no surprise that sports psychology has developed a rather large presence on all of the various social media platforms. Whether Facebook, Twitter, Instagram, Google Plus, Pinterest, or LinkedIn is your social medium of choice, these are some of the top social media profiles from accomplished sports psychologists that provide continuous updates on all of the latest buzz surrounding the sports psychology field. Despite the fact that sports psychologists are increasing in demand for conducting mental training and psychotherapy to help prepare athletes for sporting events, some recent college graduates may have a difficult time breaking into the highly specialized profession as the job market continues to slowly recover. If you are still trying to land your first job in sports psychology or are looking for a better career advancement opportunity, be sure to use these job listing directories that have been specifically designed for finding jobs in sports psychology. As you embark on a rewarding career in sports psychology, it is essential that you equip yourself with access to the field’s journals and blogs to receive sound information that is immediately applicable to the sports industry. With the help of these popular blogs and journals devoted to sports psychology, you will have the resources needed to better understand, evaluate, and intervene with clients to promote more effective mental functioning as well as enhance abilities for better athletic performance. In order to become truly successful as a sports psychologist, you will need to possess a strong determination for engaging in a lifetime of learning and professional development to stay updated on all of the latest issues related to the sports psychology field. Along with some excellent tips and tactics for career development, the below links will take you to some of the conferences annually held for practicing sports psychologists to learn new intervention techniques and network with other colleagues with the same career interests. Overall, sports psychology can be an ideal career match for psychology students who enjoy helping others achieve their full potential, solving complex mental health problems, working as part of a team, and promoting healthy living through exercise. In one of the most exciting and challenging branches of psychology, sports psychologists are able to work as part of a collaborative coaching team in many diverse career paths, ranging from youth sports to professional athletics. Utilizing this guide, you will have all of the most valuable resources that are needed to jump-start a fascinating career as a sports psychologist and accomplish all of your career aspirations optimizing athletic performance. Copyright © 2014 BestPsychologyDegrees.com / All rights reserved.